A family that turned to her agency for assistance was put out of their home by Hurricane Sandy the year their daughter graduated high school. The daughter graduated college this year, and they’re still not home. “That put it all in perspective,” Marticek said. “Four years! Think about how much life goes by in four years. For those who have, though, Marticek and the Ocean County Long Term Recovery Group (OCLTRG) have found ways to get them counseling, just as they have for Hurricane Sandy victims who can’t find housing, can’t afford rent or housing, need food or clothes, are having trouble navigating the federal and state recovery programs (and who hasn’t? 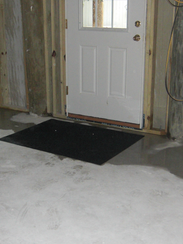 ), or were ripped off by their flood insurance carrier. In nonprofit parlance that means the gaps between insurance payouts and government grants and loans. Anyone following the Sandy recovery — often called “the disaster after the disaster” by people bound in the eternal red tape – knows there are thousands of people out there still waiting to get home or to hoping to become financially solvent. For Marticek it’s been an education — and one she is anxious to share with anyone who will listen. She testified at the Louisiana Statehouse two weeks ago following the devastating floods in the Baton Rouge area. She’s been called by disaster officials from West Virginia and Houston after floods, and California after wildfires. Lesson No. 1 is that victims need advocates who will take them through the daunting process of filing insurance claims, applying for government programs and finding charity help. For Frank and Mary Ellen Azack, the OCLTRG helped them out of a bureaucratic quagmire that left their wrecked house in the Silverton section of Toms River stuck in the mud. Azack met OCLTRG case workers at a Sandy victim information meeting in Toms River in 2014, and things started to move. Marticek’s group partnered with the United Methodist Church’s volunteer building group called “A Future of Hope” and they took on the Azacks’ project – including putting in a lift to make the new elevated home more accessible for Mary Ellen Azack. The OCLTRG’s funding has come from several charitable sources, including the Robin Hood Foundation, Catholic Charities of Trenton, the Salvation Army, the Ocean First Bank Foundation and others. Since the storm, the group has spent about $7 million to help people get back on their feet, but the funding sources are drying up. “A lot of the money for ‘unmet needs’ is going away,” said Bridget Holmes, the OCLTRG’s assistant director. Meanwhile, the need continues. The Ocean County group is now taking on cases from Bergen and Essex counties all the way down to Cape May County. The group is currently helping 170 families navigate their National Flood Insurance Program appeals and another 65 families with basic needs, such as rental assistance, while their homes remain uninhabitable. Marticek describes her agency as “the gray matter” between government rules and the realities of getting things done. A 96-year-old man got so fed up with the state’s RREM program that he wanted out. The first builder hired by the state to elevate his home, Seneca-SmartJack, left the program with a trail of unfinished homes. The man waited for builder No. 2. His 95th birthday came and went, then his 96th. “I mean, the guy is 96! How long should he have to wait!” Marticek said. “He decided he just wanted to live out his life in his unraised home. The man is back home and the costs for the design that was never implemented went away. Five months and you’ll be back home. 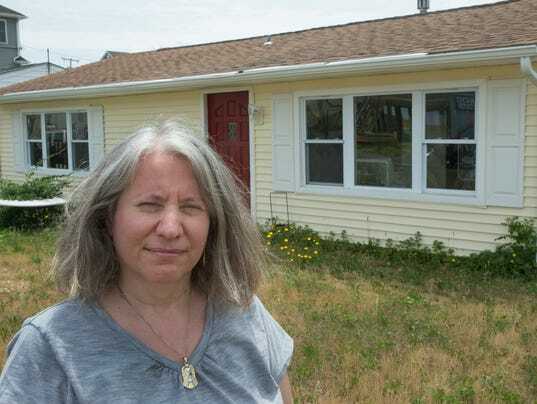 That was the promise Price Home Group made in a contract with Patricia Bollman and Maureen Molz, a Brick couple among the thousands at the Shore who lost their home to superstorm Sandy. Now three years later, after making $187,000 in payments and enduring months of delays, unreturned calls, and what she claimed as shoddy workmanship, Bollman is convinced Price Home Group was only looking after itself. At the end of August, a state Superior Court jury in Ocean County sided with Bollman and Molz in their breach-of-contract claim against Price Home Group, awarding the couple $300,000 in compensative damages. 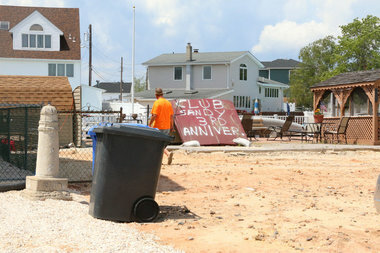 It marked the first such victory at trial in New Jersey for a Sandy-affected homeowner against a contractor. 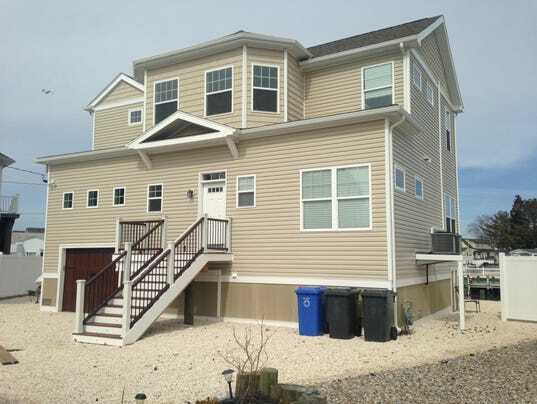 The landmark proceeding is part of what many regard as the next wave in the Shore’s post-Sandy rebuild — the filing of lawsuits targeted at contractors who disappointed customers in sundry ways — from failing to complete projects to performing second-rate work, or never showing up after accepting payment. The New Jersey Office of the Attorney General has cited 135 violations for unregistered or non-compliant contractors in Monmouth, Ocean and Atlantic counties since January 2013, and sought nearly $1.3 million in restitution for customers, according to the office. 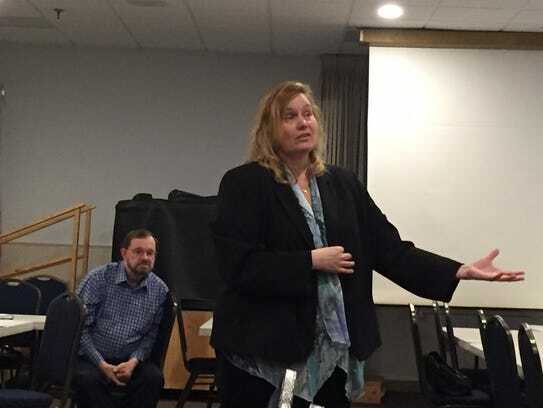 Sue Marticek, executive director of the Ocean County Long-Term Recovery Group, said she has seen more homeowners at the group’s workshops who have been victims of contractor fraud. Others are involved in disputes with contractors who have not completed work or performed poorly. Price Home Group alone is involved in at least 15 lawsuits alleging breach of contracts with customers. 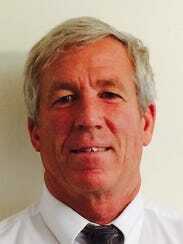 A pending civil action by the state alleges fraud, among other claims. 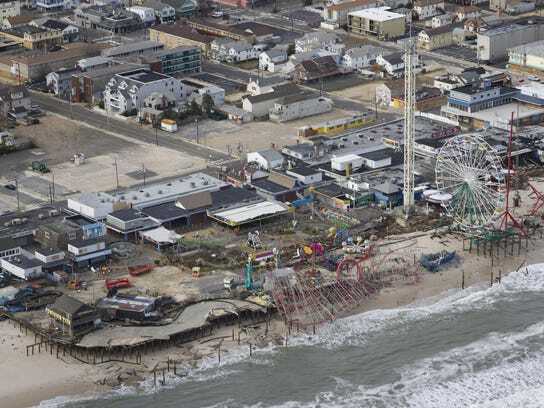 For Sandy victims, the new legal tangles follow years of squabbling with insurers, unscrupulous engineers, and the exasperation that accompanies glacially paced government recovery programs. But lawsuits, while usually the last resort for settling disputes, may provide only a Pyrrhic victory to some property owners. Marticek notes that it is difficult for homeowners to recover money from a builder through the legal system, even if the builder has been charged with fraud. Many builders — including all three founders of Price Home Group — have declared bankruptcy or are otherwise insolvent. “There is really no leverage for the homeowner in these cases, and that’s become a problem,” Marticek said. The collapse of Price Home Group, which denied any wrongdoing in court papers, revives long-running questions about the state’s oversight and vetting of builders. The now-defunct company was one of the original contractors approved by the state to serve homeowners in New Jersey’s primary rebuilding program, the Reconstruction, Rehabilitation, Elevation, and Mitigation (RREM) program — an initiative paid for with your tax dollars. Internal financial reports filed in court show the partners of the Stafford-based builder pulled hundreds of thousands of dollars out of the operation as profit — while they were buying expensive cars and taking international trips — even as the company’s financial situation was deteriorating. Fifty-one homeowners selected Price Home Group, which trumpeted its state-approved status on the company’s website, as their RREM contractor. Of those projects, fewer than half — just 22 — were seen through to completion, according to the New Jersey Department of Community Affairs. The RREM program evolved to give homeowners more freedom — and responsibility — regarding the selection of their contractors, instead of having the state acting as the matchmaker. With such responsibility has come headaches. Price Home Group was formed on Feb. 6, 2013 — 100 days after Sandy made landfall. The venture was a three-man partnership: brothers Jeremy and Jonathan Price, an attorney and contractor, respectively, and Scott Cowan, a Newark pawnshop owner. Cowan and Jonathan Price each kicked in $5,000 while Jeremy Price pledged his equity in the form of legal work, according to depositions and bankruptcy filings. From that $10,000 initial investment, the start-up would go on to amass more than $25 million in home sales and contracted work, some of it paid for with federal disaster grants, according to Cowan’s attorney. The venture was lucrative while it lasted. Internal documents entered into Jonathan Price’s bankruptcy case show he and Cowan drew up to $32,000 a month each out of the business, with the outflow beginning just weeks after the business was formed. 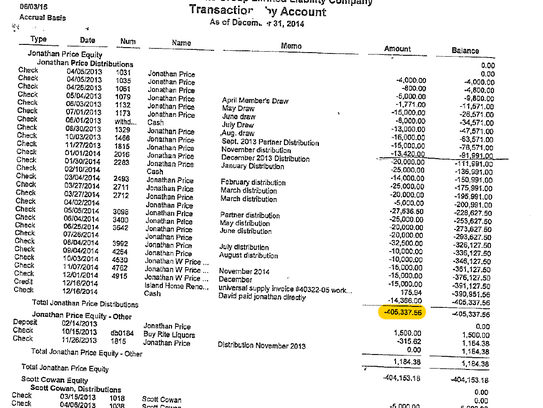 A transactions sheet shows Jonathan Price taking $405,338 out of Price Home Group’s coffers, most of it labeled as a partner distribution or member’s draw, from April 2013 through the end of 2014. Cowan was making similar withdrawals, including one for $5,000 – equal to his initial investment – within five weeks of the company’s birth. A customer’s deposit was supposed to reserve their modular home with the Price Home Group’s supplier. Evidence presented during the Bollman-Molz trial showed that money from new projects often went to paying for materials and work on older contracts that had been neglected for months. Once the Bollman-Molz’s declined to make any more payments, the Price Home Group left the project, according to court documents. The work at the home remained incomplete and required the couple to hire other workers so the reconstruction could pass inspections, which it did in October 2014 — about eight months after the Price Home Group contract said the couple would be able to move home. Bankruptcy records also show the principals buying a new Mercedes-Benz and a $35,000 Toyota Tacoma while the money was still rolling in. They traveled to Italy, Indonesia and Las Vegas. Price Home Group folded while still owing homes to 19 customers. Christopher Adams, attorney to Cowan, one of the principals, blamed the business’s failure on rule changes, slow state payments and poor work by some subcontractors, which Price Home later sued. Jonathan Price declined to comment. The company, according to its owners, completed 70 homes in less than two years. They also elevated 20 homes, although the state says Price Home Group was never licensed to lift houses. The bankruptcy filings reveal Cowan and Jonathan Price racked up thousands in credit card debt after a key supplier pulled out. 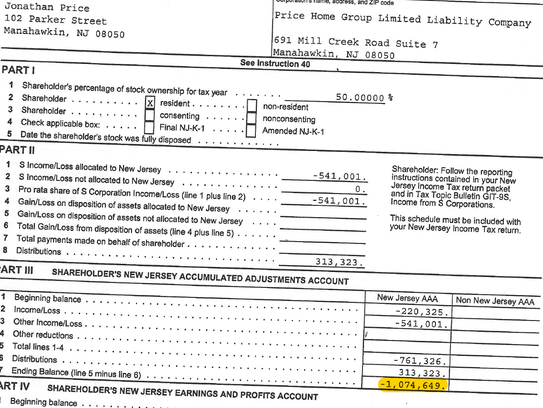 They sold waterfront land in Stafford and poured the sale’s proceeds back into the business, the bankruptcy documents show. Adams said that the two partners put $600,000 back into the company, reducing their annual salary to an average of $111,000 in each of the three years. Jeremy Price, who says he has since severed ties with the company that bears his family name, reiterated the defense’s courtroom claim: the Ballman-Molz were inflexible and wanted to ruin the Price Home Group in court. The state Attorney General’s Office has filed civil suits alleging consumer fraud against five contractors since July, including Price Home Group. In that lawsuit, which names Jonathan Price and Scott Cowan individually, the Price Home Group is accused of taking $1.1 million in payments and failing to deliver on the contracted work. About $900,000 of that total was disaster grants paid for with federal tax dollars. Before the first homeowners signed up with Price Home Group, the state of New Jersey welcomed the company into the fold. Price Home Group was approved to join RREM’s pool of “qualified builders” in 2013, a fact touted in company marketing materials. Initially, the task of hiring homebuilders was handled within the RREM program, using only those companies identified as qualified builders. Later, the state got out of that part of the rebuilding business entirely — directing all homeowners entering the program to choose their own contractors. To participate in RREM, the state checks that a company has the proper licenses, is registered to do business in New Jersey and hasn’t been debarred from doing business with the government, according to Lisa Ryan, spokeswoman for the state Department of Community Affairs. The office oversees RREM, the $1.1-billion housing recovery program covered by anybody who pays federal taxes. Testimony made in depositions shows that Jonathan Price and Cowan lied about their educational attainment in their RREM applications. Both claimed to be university graduates, but Price said he had only a few months in community college and Cowan acknowledged that he dropped out of high school. Nonetheless, the company would be assigned five home construction projects by the state. In April and May 2015, all of those projects were transferred to other builders to complete — at Price Home Group’s request, Ryan said, and not as a result of any performance issues. It continued to be the general contractor of record for at least 20 of the ongoing projects — rebuilds where it had been selected by the homeowner. The death knell for Price Home Group came when Ritz-Craft, the manufacturer that supplied the builder’s modular homes, terminated the relationship at the end of September 2015. It cited Price Home Group’s “bleak and dire financial situation” as the basis for severing ties, according to the lawsuit. In a lawsuit that followed, Ritz-Craft acknowledges it had received a grand jury subpoena from “New Jersey state court” seeking paperwork related to Price Home Group. 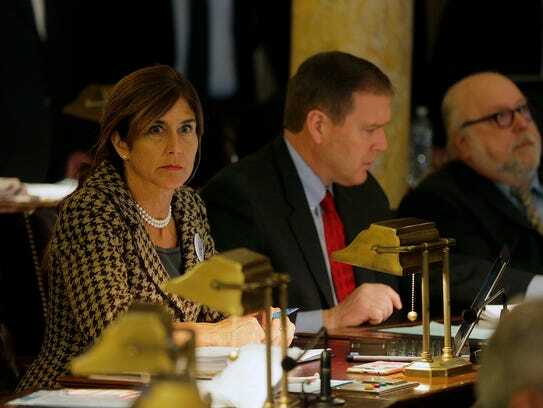 The Office of the New Jersey Attorney General and the Ocean County Prosecutor’s Office declined to comment. Price Home Group should be judged on the circumstances at the time, Joyce Bartlett, the Price Home Group’s accountant, told the Press.